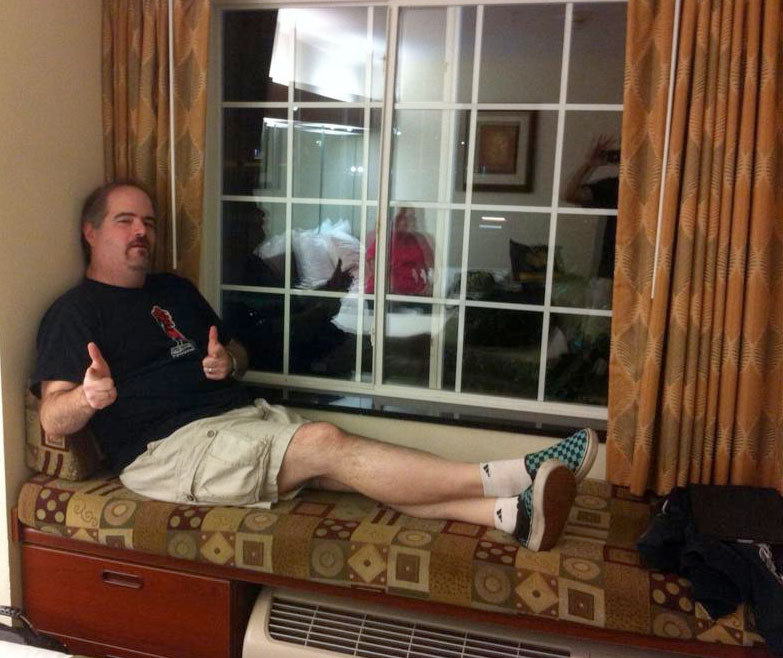 JAMES HANNON 21-AUG-2014 Hey folks, this is James Hannon, guest reporting for AmberUnmasked.com today on this past weekend’s GenCon 2014 convention in Indianapolis, Indiana (Aug 14 – 16, 2014). 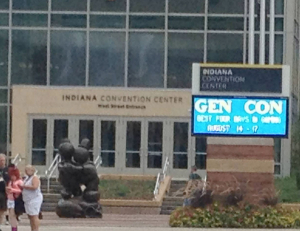 First some background for those who don’t know what GenCon is. 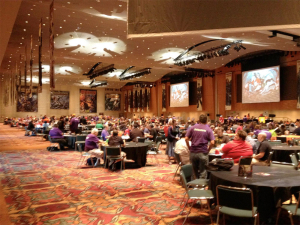 It is the largest tabletop gaming convention in the United States – GenCon 2014 had a record-breaking 56,614 unique attendees, 370 vendors, and 14,000+ events. “Tabletop” encompasses more than board games – There are plenty of events and forums for role-playing games (RPG), miniature wargames, live action role-playing (LARP), collectible card games (CCG). There’s also some video game stuff, but not much at all. As with many conventions lately, Cosplay is becoming much more popular. But if you ask around, many of the regular gamers weren’t thrilled about this. 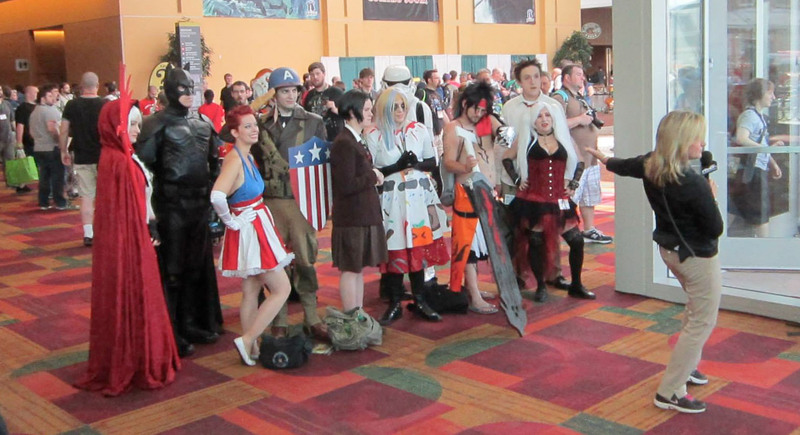 One regular attendee told me he noticed that as cosplay became more popular, the crowds started becoming less game-oriented and more “pop-culture”-oriented. This is my first GenCon, so I’m not sure how true his statement was, but the main halls were a lot more packed than the vendor halls – particularly where the cosplayers hung out. 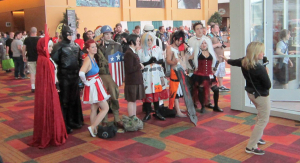 Even though I am a regular costumer in New Jersey with the 501st / Rebel Legion and GI Joe Finest costume groups, costuming was the last thing on my mind for GenCon. 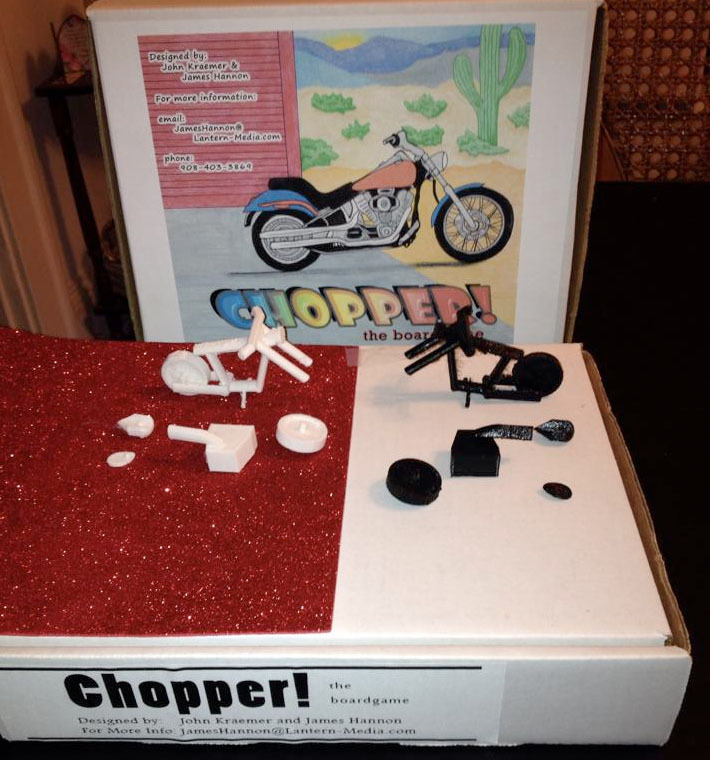 This con was strictly business… John Kraemer and I designed a board game called Chopper, and we were at GenCon trying to get it in front of game publishers who might be interested in publishing our game. So John, my wonderfully patient wife Jackie, and I packed up the rental mini-van, and drove the 12 hours to Indianapolis from NJ on Wednesday August 13th. I never thought I’d say this having been an SUV owner for so long, but there may be a mini-van in my future. 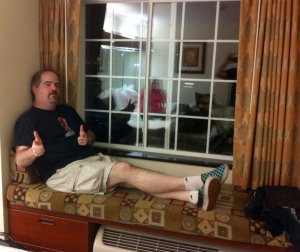 So roomy and many cool and convenient features for traveling… But that’s another story altogether… We got there Wednesday night late and just had enough energy to settle into the hotel and go to bed. The alarms were set for early Thursday morning and we were raring to go. Even though GenCon officially opened at 10am, one of my Finest costumer friends who was already there at 7:30am, emailed and told us that large lines were already starting to form. So we headed out earlier than we originally expected. We got there around 8:30am and parking was already a problem. The public parking lots were full already, so we ended up parking 12 blocks away – which wouldn’t have been a problem, but it’s a huge gaming convention, and we’re game addicts, and we knew would end up carrying heavy bags full of new games back to the car multiple times during the day. The Will Call line – See all the way down to the end? Well that’s just where it turned into the corded area. We got to the con a little after 9am and it was mobbed. There was no organization and finding an orange-shirted volunteer for basic information was really difficult at this point. I should mention now that this was my first time at GenCon, so I didn’t know what to expect. I’ve hit plenty of big conventions in my costuming career, but every one is different. My biggest complaint about GenCon 2014 is this initial disorganization that didn’t need to happen. During the online registration process, you have to order each attendee’s ticket separately. And by that, I mean you have to create a user account for every member of your party. You can link your friend’s accts, and sign up for events together as a group, but each ticket is a separate login id. There’s some logic in there since each member has an itinerary of events to sign up for, but when you purchase the ticket, you have to decide if you want to have it mailed to you for an extra cost of $10 per ticket, or pick it up at the Will Call booth for free. For three people, that’s an extra $30 bucks, so it was an easy decision to pick it up. 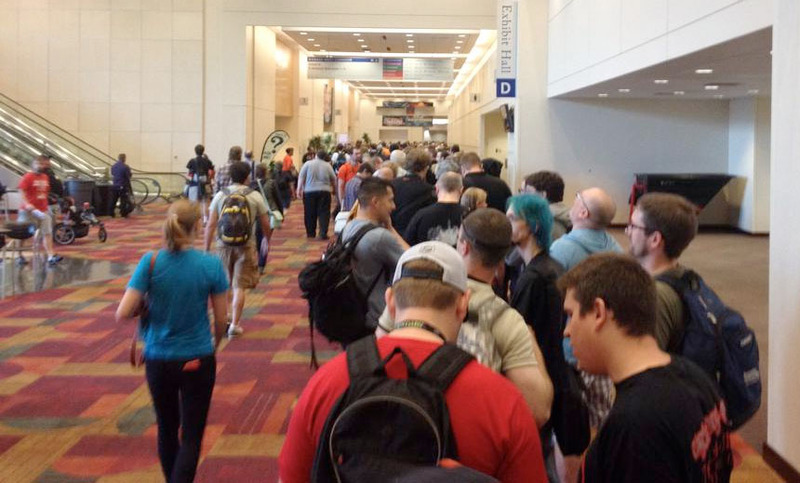 However, come opening day of GenCon, a few thousand people standing with me on the approximately two-hour Will Call line, were really kicking ourselves for not spending the extra money to have our tickets mailed. (Our fellow traveler John was smart and had his tickets mailed to him). In their defense, GenCon organizers were genuinely shocked at the record breaking number of people. They did post on Twitter that they were diverting more resources to the Will Call line, and after an hour or so, it started moving faster. But we were off to a bad start. Around noon, I finally had my badge and walked into the first GenCon vendor room, and I was blown-away by the flurry of activity inside. I’m a veteran of a few chaotic NY Comic Cons, but this was different – The crowds weren’t as unpassable as NYCC can be, and it seemed “orderly” – People seemed to know what they were doing there. In a few hours, I had already gone thru multiple emotions – being overwhelmed, being really angry, and feeling defeated to the point of just giving up and wanting to go home. But when I got inside and found my “sherpa” (the now–GenCon experienced John), I was hopeful again that if we were going to sell our game, this would be the place. During my delay, John had spoken to a few of the largest game companies about submitting the games. He actually talked to the CEO’s of these companies who were right there on the con floor. And while the CEO of Fantasy Flight Games told him they were booked for new games for the next five years, and a couple of others told him to submit the game concept via their website, these CEO’s actually had long conversations with John about their past, present and future games, and the state of the game industry. They were really busy that day, but they gave John the respect of talking to him as a peer and not just as a potential customer (although John did spent quite a bit of money there afterwards). This was a scenario that was to play out many times in the coming days. When I arrived and started to get my bearings around the con, I received the same respect from these CEO’s and game designers of games that I loved. It was a LOT different from many of the vendors at NYCC who just shoo you along after they get their money out of you. During the course of the conventions, we had numerous impromptu meetings with CEO’s and respected game designers. We pitched or demo-ed our game to over 20 companies with great feedback, and got plenty of leads to follow up on after the con. I don’t think many games get signed contracts at cons like this, but we are feeling that we really made some inroads to selling our game to one of these contacts in the near future. Time will tell, but the experience was definitely rewarding. 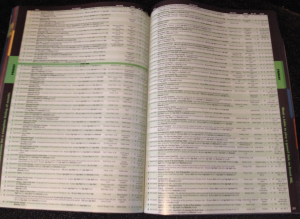 Events Catalog – note the microscopic font! This leads into a couple of minor issues with GenCon catalog. First is that there are wayyyyy too many events (14,000+). It is impossible to go thru every event’s description. It doesn’t help that they publish their catalog of events using microscopic fonts either. The online catalog is better and more readable, but there are still 14,000 events to go thru. Granted, many of the events are specific games being demo-ed, but there is a lot of noise to get through to find something specific for you. 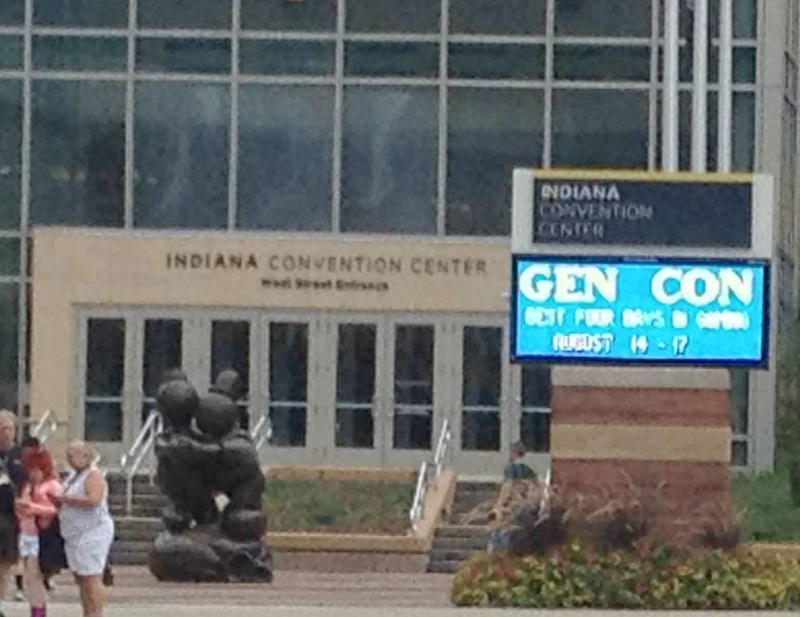 Friday was our last day at GenCon 2014. We intended to go back for Saturday, but we had been pretty busy and productive on Thursday and Friday, that we decided to skip it and start the 12 hour drive back to NJ earlier. Some postscripts about the trip before I sign off. One of the reasons I got into tabletop gaming was the social aspect of it. Technology has made it too easy to become a solitary being, so I like to stay a bit connected to people socially. During GenCon, every time we stopped to take a breather on one of the crowded benches, we had conversations with other gamers doing the same. I have to say this con was one of the most social cons I have ever been to – Maybe it was because I wasn’t wearing a costume helmet during this con, or maybe it was because it was the MidWest, but people were really friendly – more so than usual. And it was quite refreshing… Of course, as I write this, I am suffering from the ConCrud (flu), so there is a downside to being social too. But the ConCrud will eventually go away – the good feelings and memories won’t. While in Indianapolis, we did some sightseeing outside of GenCon. Indianapolis seems like a really nice city and has some cool attractions. It was our first time there, so we had to see the Indianapolis Motor Speedway. Not a lot happening over there in the off-season, but two things of note. 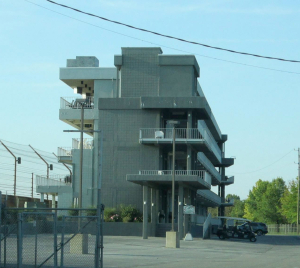 There is a building off “Turn-Two” that has a bunch of VIP suites to watch the race that is unused off-season. If you sneak into the building and go up to the top, you can get a great view of the Indy 500 track. There wasn’t any security around during our trip, but your mileage may vary – so be careful! On the drive into Speedway, Indiana passing a road called Gasoline Alley, there is a building that has a bunch of real Indy 500 Cars in the window. 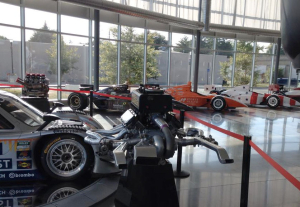 It is the Dallara Factory that makes the Indycar frames. We got a little excited and took the factory tour which triggered some buyers-remorse immediately after paying for it. (I’m not into car racing). But the unpaid intern “Luke” really made the tour interesting and showed all the background science that goes into racing. From each driver having their own personal nutritionist so they don’t have to poop while racing, to using car materials that won’t turn into crowd projectiles during a crash, and everything in between. Luke was an Indy 500 encyclopedia and fanatic, and gave a great tour – it didn’t hurt that he was a Star Wars fan either (with a name like Luke he had to be). 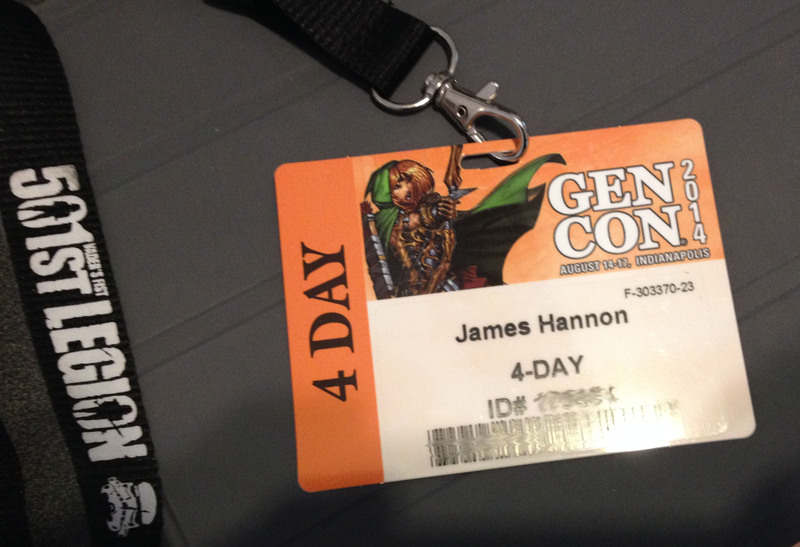 Overall, our weekend at GenCon 2014 was a great experience. There were some ups and some downs, but I’m really glad that I went. I may even go next year – hopefully it will be as a hit game designer. Volunteer organizer for the 501st NER and DC Villains. 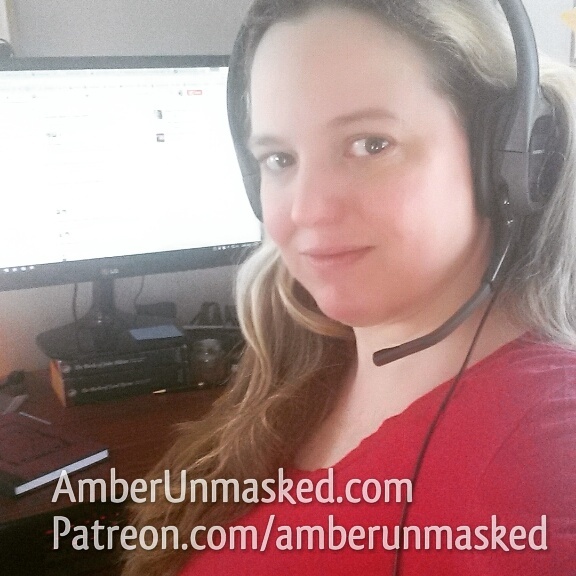 Contributor of tabletop/RPG gaming development. Can I get that one hour back without a panic attack?